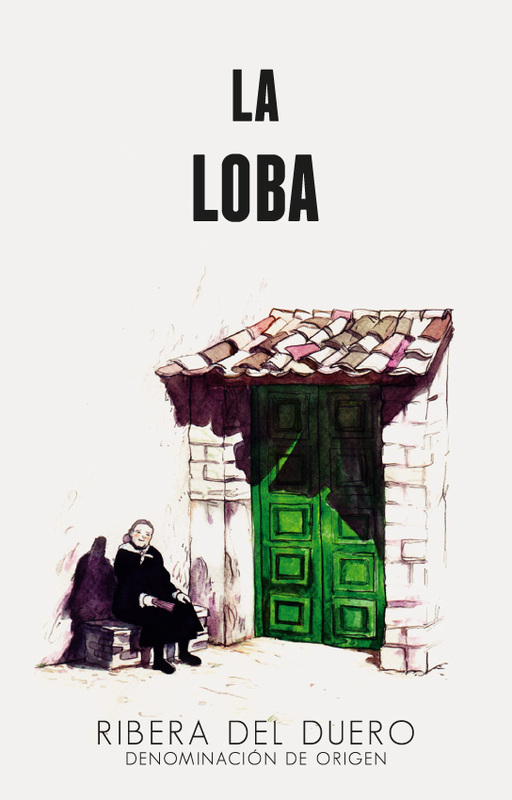 La Loba wine originates in a small village in the province of Soria, Matanza de Soria, located on the border of the area known as Designation of Origin Ribera del Duero. These centenary vineyards offer a valuable lesson on the importance of respecting nature and all those involved in this project have passed on to us the values that have allowed our dream to become a reality. 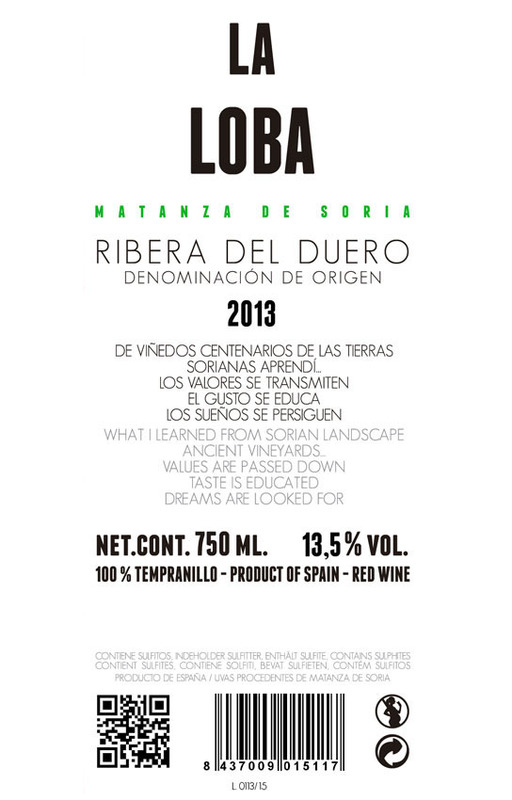 Our idea at La Loba is to promote viniculture from a traditional, simple, humble, natural perspective. We don our wellington boots and visit the vineyards to prune and gather vine shoots, taking meticulous care of our heritage so that when harvest time comes around, we can gather fruit of a quality that will allow us to revel in the production process, getting our hands stained during fermentation stages, shifting barrels around during the aging, and all so that we can share the finished product with you, the customer. The suggestive name of La Loba (“The Wolfess”) marks the character, the strength, the determination, firmness and guile; the sweet picture of the grandmother shows us elegance, simplicity, delicacy, tenderness and balance. The combination of both is the union of the winery’s two grandmothers: one gives us the name and the other the image, two very important people in their lives and now also in their project. The sketch is the work of our great friend and painter, Santos de Veracruz, better known as the artist who works while Muchachito (Bombo Infierno) sings and plays. Our relationship with our beloved Santitos is one of true friendship and a high level of understanding and kinship, an understanding that has allowed us to achieve that special level of synergy that arises through teamwork… and from there, our label, La Loba.